The following signatories request that you bring the power of your offices to bear in the case of Reverend Edward Pinkney of Benton Harbor, Michigan, who we believe has been wrongly accused, tried and convicted of crimes that he did not commit. 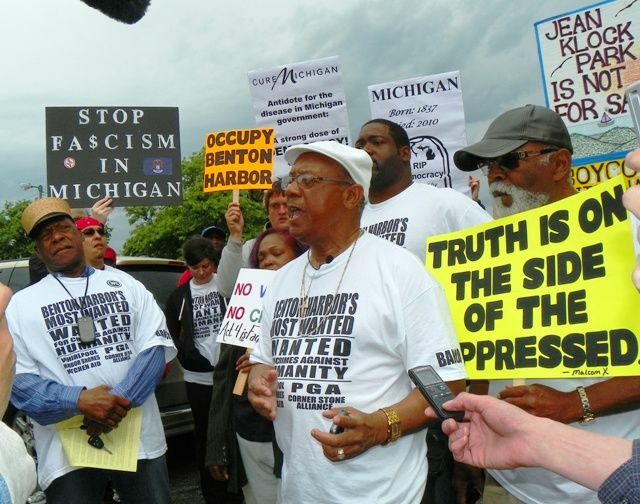 Reverend Pinkney is a founding member of BANCO, the Black Autonomy Network Community Organization, of Benton Harbor Michigan, and is arguably the loudest, most outspoken activist in his community. His organization holds spirited rallies and takes direct political action against what they claim is rampant government-corporate collusion, police corruption, economic injustice, and a discriminatory plan for gentrification of the city.